The Luna system can be easily integrated into dial-table, conveyor, robotic or semi-automated environments. The 7 solder profiles can be selected via digital I/O and an extensive iron tip library provide for a solution for virtually all selective solder applications. This unit was made for automatic soldering. 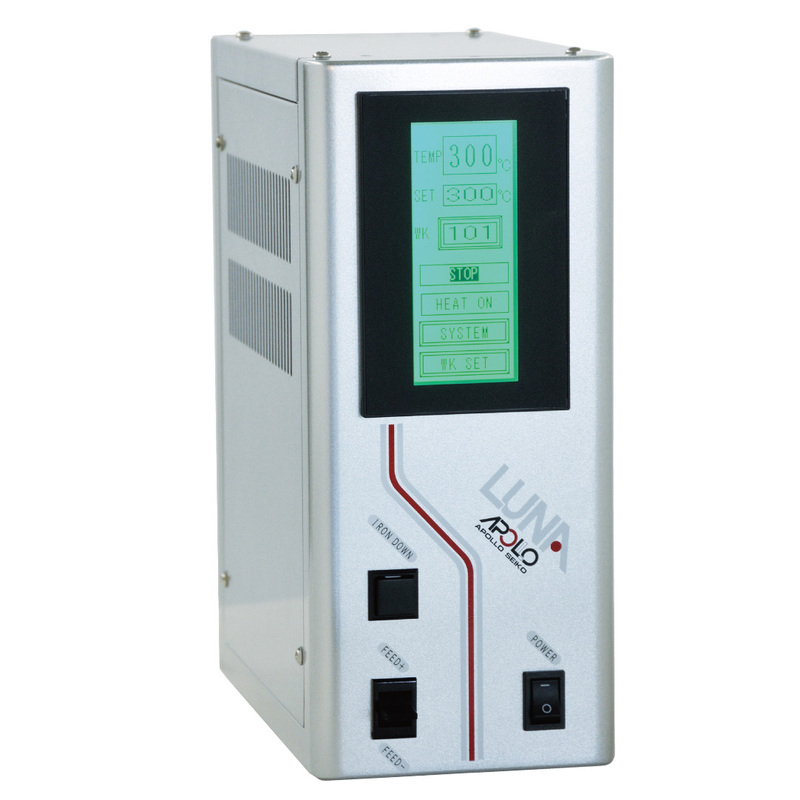 The touch panel is utilized for display and parameter control. The large screen provides easy reading. The seven (7) soldering profiles can be customized to meet typical soldering application requirements. The multiple power (AC90 ~ 264V) input has been designed for worldwide factory use and easy integration into worldwide facilities.